When I was a kid, I learned to play an instrument. Not a cool instrument like the guitar or the drums. Not a classical instrument like the flute or the violin. No, I grudgingly fulfilled my mother’s fantasies of performing on The Lawrence Welk Show by playing the accordion. No, I didn’t actually play on Lawrence Welk, but the nightmares of standing alone on stage unable to play a single note on my red pearl Hohner still linger. And the childhood memories still give me hot flashes of paranoia that my secret would leak to my classmates in middle school, but I managed to escape puberty without getting beat up for being a geek. In hindsight, I’m grateful my mother pushed me to learn an instrument (although I repeatedly ask her why, oh, why it couldn’t have been the piano) not because of the discipline it taught me, but because it was the precursor to the clarinet (only slightly less geeky) and the saxophone (very cool). 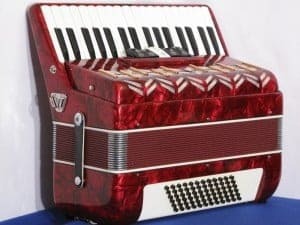 Aside from the occasional Christmas medley on my accordion (yes, I still have one, and no, I will not play it for you), I don’t play anything except my keyboard—the one I’m typing this blog on. But I do have a great appreciation for music and musical instruments. So when we picked up my daughter’s first violin for her middle school Orchestra class, I was excited. I dreamed of hearing all the various voices the violin intoned—melancholy, exuberance, compassion, defiance—drifting beneath the crack of her bedroom door. Then I listened to her run the bow across the noble strings for the first time, and I cringed in pain. Unless my daughter proved to be an undiscovered protégé (even to herself), I was doomed to suffer through a twangy version of “Twinkle, Twinkle Little Star” for the next six months. I know that in the hands of Itzhak Perlman or Hilary Hahn, that very same violin could make me weep, or dance, or hide my head in fear or shame. It wasn’t the instrument that created the melodious sound, it was the player. God’s a musician, you know. Think of the sound of thunder rolling in the distance. The melody of the British Song Thrush. The choral ballad of crickets in a summer glade. The joyful laughter of a child. Then think of the sound of the human voice. Its nuances and variations—alto, soprano, tenor, bass. The gravel of Bruce Springsteen and the liquid light of Charlotte Church. The way a single word can stop and start a heartbeat by its very sound. Is there anything else quite like it? So what does that make us? Why, we’re God’s instruments. 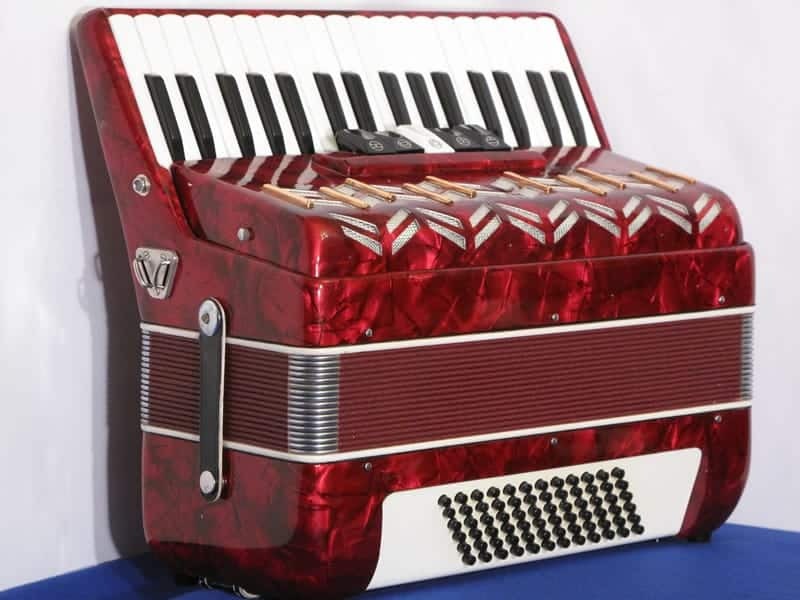 Unfortunately, I think I’m doomed to be a red pearl Baile accordion with a broken bellows and a dozen bent bass buttons. But, in the hands of the Master Musician, I suppose even I can sing the sweetest of God’s love songs to the audience he has given me. What instrument would you like to be? This is so gorgeous, Kim! So true and so encouraging to look at ourselves and lives this way. Love you! I remember going Christmas Caroling with you and your accordion about 20 years ago. I thought it was really neat! Oh, no. A witness from my past. Now I’m in trouble.